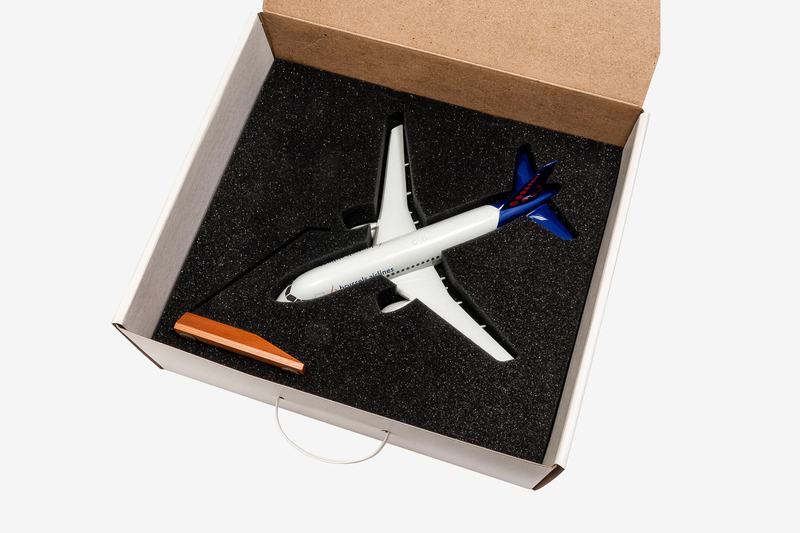 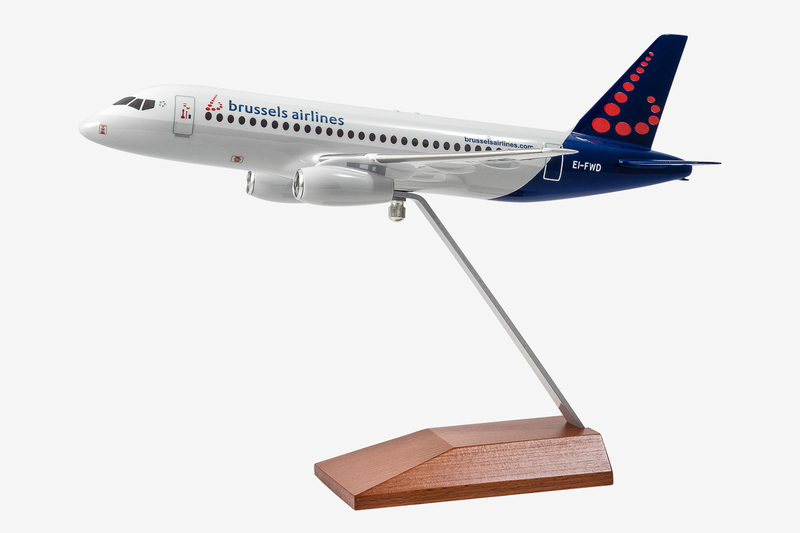 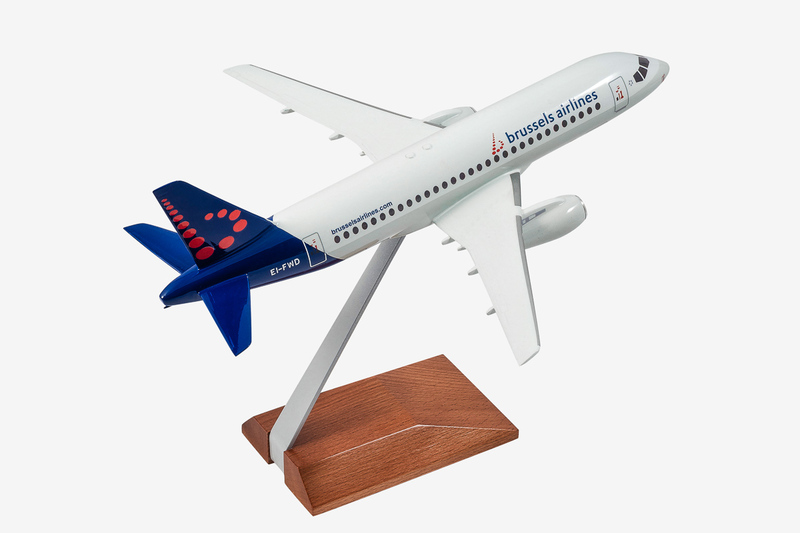 ﻿ Brussels Airlines Superjet-100 Desktop Model in 1/100 scale. 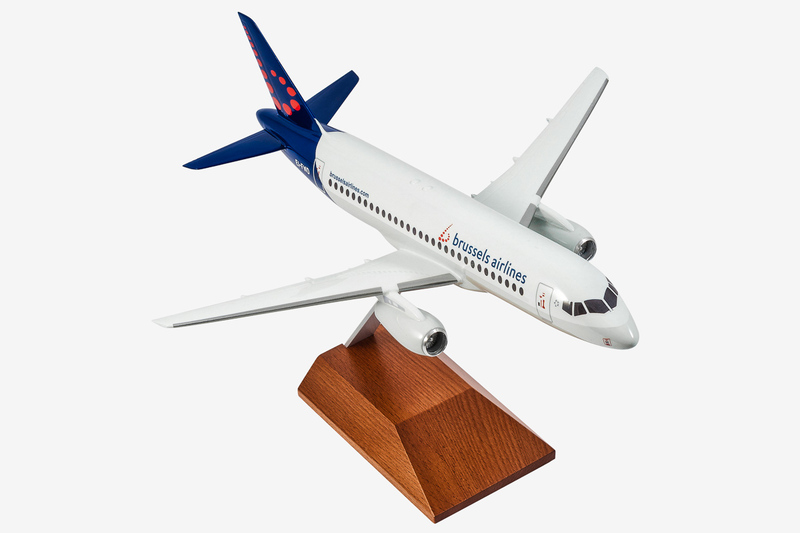 Dimensions: Length - 30 cm (12 in), Wingspan - 28 cm (11 in). 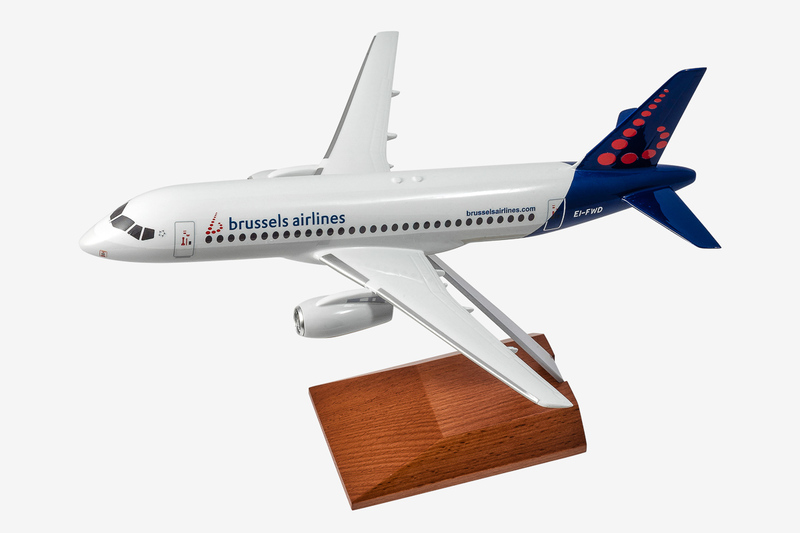 Scale model of the modern airplane with registration number EI-FWD operated by CityJet under Brussels Airlines banner.